Visit the Bowdoin website page about the event. C.J. Chivers is a correspondent for The New York Times and a writer-at-large for the New York Times Magazine. His magazine story “The Fighter” won the 2017 Pulitzer Prize in Feature Writing. In 2009 he was part of a team that won the Pulitzer Prize for International Reporting for coverage from Afghanistan and Pakistan. Chivers served as an infantry officer in the United States Marine Corps in the Persian Gulf War and on peacekeeping duty during the Los Angeles riots. 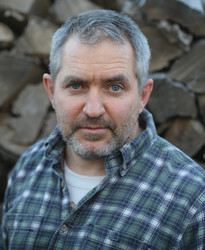 Mr. Chivers is the acclaimed author of The Fighters and The Gun.